The Township of Langley has a heritage system that is meant to protect and preserve historical buildings and sites. One such site in Murrayville was the topic on Council’s agenda last night. The Roderick Cummings House was built before 1915 and has been subject to substantial alterations and damage over the years. The Township of Langley is looking to enter into a Heritage Revitalization Agreement to restore the facade back how it originally looked when first constructed. As a part of the agreement, the Township will reduce Development Cost Charges and Building Permit Fees by 34% for the heritage part of the development. 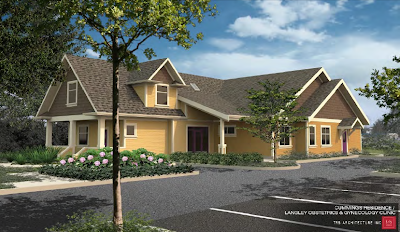 The proposed use of the building will be for a doctor’s office and will also include an addition to the original residents that is almost double the size of the original building. Much like the City of Vancouver, Langley’s heritage preservation bylaws seem more concerned with facades than anything else. While this isn’t a bad thing, it lends itself heritage building in Downtown Vancouver with glass towers sticking out of them or in Langley, heritage buildings with a huge addition on their backsides. While I don’t oppose this heritage restoration plan and personally like the blending of the old and new, I have to wonder if the context and character of the historic building is lost. The challenge of course is to ensure we can protect the heritage of our communities while not turning them into museums.